Most of us have heard at great length the power in forgiving others. I have learned first hand that forgiveness of others is the key to my own freedom. The seemingly endless list of childhood traumas that fight to overcome my soul continues to press on me decades later to hate the people who did those things to me. It’s an easy place to go, the path of least resistence is hate, anger, to remain a victim filled with mistrust and isolation. When we release others from the resentments of those past injustices however, the bitterness that has hardened our hearts begins to crumble. We start to experience a real peace as our sometimes painful “history” is transformed into “HIS story”. So much of that resentment and pain that I felt toward my childhood experienced turned inward and became self-hatred, a sense that I deserved the things that happened to my, that I’m unworthy, unlovable, unforgiven for my role in the abuses. Which brings me to the other side of forgiveness, one that I’m now beginning to realize is even more important in the healing process; one that I have known at the intellectual level but as of late is one that I have seemed to overlook at the heart level. God wants us to be in relationship with Him, He designed us to long for that. Our sin makes it impossible to be in relationship with Him, and for me, I stopped there. For so much of my recovery, when faced with who I was, and struggling to overcome my old ways I have felt less than worthy. And that is true, we are not worthy, will never be worthy, can never become good enough to be considered worthy. I’ve known for a long time that God loves me but I seemed to have skipped over the cross and got stuck on my sin separates me from God. I’ve been fighting with my very soul to become sinless so I can be in relationship, to earn back what I’ve given away through my perversions of lust, pride, and addictions. That victim mentality is the catalyst that feeds my selfish entitlement to remain broken at the heart level and look to the world for pity and compassion (hard stuff to admit here). It is a false humility which actually manifests as an arrogant continuation of selfish pride; that I’m going to earn relationship by being good enough. Denial and blindness to our own efforts to be in in control, to do things our way is such a deadly combination. God’s forgiveness however is very real and personal. It is the work that He has done on the cross that creates new life in us. Jesus became our atonement, our whole and complete source of forgiveness through a price that was way too high, His very life. 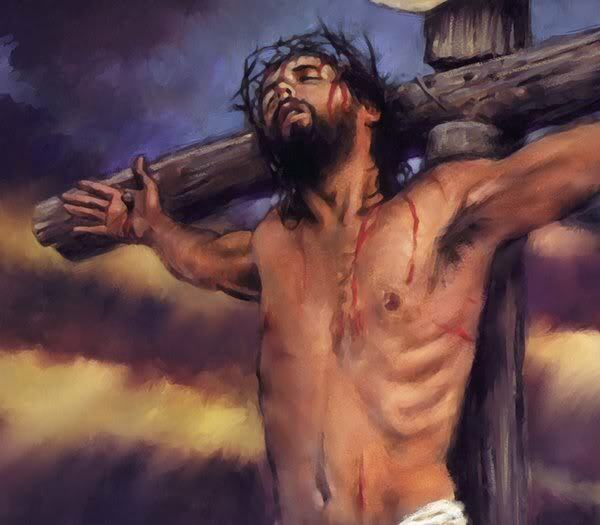 In His sacrifice alone we are made right with God the Father. God the Father cannot look upon us, but His Son purchased us with His own blood, and in that we RECEIVE forgiveness for our sins. We are set free and can look upon the face of God, not because we deserve it, but because He did the work, we just need to believe and gratefully accept the gift. I am sure there are many like myself who have spent years working on the forgiveness of others, and devoted their life to service in God’s glorious kingdom here on earth, but have overlooked the incredible grace of forgiveness over our own iniquities and trespasses. I am just coming to realize that after 2 years of personally seeking a deeper, more perfect union with Christ that forgiveness is a multi-faceted process. Stage One is to release resentments towards others, come to realize that others are just different variations of the same broken that we all are. Once we find the courage to look at the log in our own eye, it becomes much easier to have compassion towards the broken, even the ones in our past who may have inflicted great amounts of pain. Forgiveness doesn’t mean we stay in the line of fire, but it does mean we no longer are afforded the luxury of blaming them for our feelings and behaviors, we no longer use our past as a crutch to continue in poor choices and rebellious behavior, we no longer require sin to numb the pain or escape reality but instead become filled with understanding of others hurts and an overwhelming gratitude to our Savior for the grace of insight. Stage Two is to accepts God’s work on the cross as payment for our own sins. What I have been missing is that I have to accept God’s free gift of atonement. I am forgiven and free not because once I came in to relationship with Christ I suddenly became a good person, it is the mere fact of being in relationship that gets our name written in the book of life. Stage Three is to know that Jesus came to us while we were still sinners. God does not recognize our sin from the point of justification forward, not because of us, because of Him. It is an incredibly fine line in that we are not given a free pass to continue on our old path to death, but we can take great joy in knowing that we are truly free already, by what Christ did and not by trying to make up for or undo what we or others have done. We are not going to “earn” salvation by the output of the rest of our lives, but instead the rest of our lives becomes the output of Jesus atoning work on the cross for us, the broken and humble sinner who cries out to our Savior. Freedom in Christ means we are free to live out a life that is good and pleasing and holy. But to try and force a life that is good and pleasing an holy in hopes of gaining relationship is to remain in prison, a hell that looks good on the outside but is empty, unfullfilling and useless to God. It is those whose prideful service, much like the older Prodigal brother, will be left bitter and resentful while living in the presence and freedom of the Lord without even realizing it. If we truly know Christ, love Christ, rely on Christ, seek Christ we can be assured that He is with us through the Holy Spirit and us with Him. It is that relationship that sets us free to serve and love fully, not the other way around. I know that sounds so simple, but I at times feel so ignorant because there is so much pain in my heart over my sinful nature. Yes God desires strongholds to be cut out of our lives, for us to live holy and pleasing as our spiritual act of worship, but not so we can come into relationship, but that we can freely recognize that we already are in relationship. We must never forget the Cross, forgiving others is only 1/2 the battle, truly accepting God’s forgiveness over our daily transgressions is equally important. We are forgiven and loved and we are called to give freely what has been so graciously given to us. We do not deserve it, and others may not either, but unconditional love is what Our Father pours upon us, and it’s a gift we are called to freely give to others. My prayers that we may all experience the healing atonement of the cross deep in our souls, and in that freedom choose to live free, and not mistakenly long for a future freedom that we’ve already been granted today. Image | This entry was posted in Addiction, encouragement, faith, Jesus, my story, Recovery, Salvation, The Cross and tagged addictions, atonement, forgiveness, God, jesus, recovery, resentments, salvation, sin, The Cross. Bookmark the permalink.